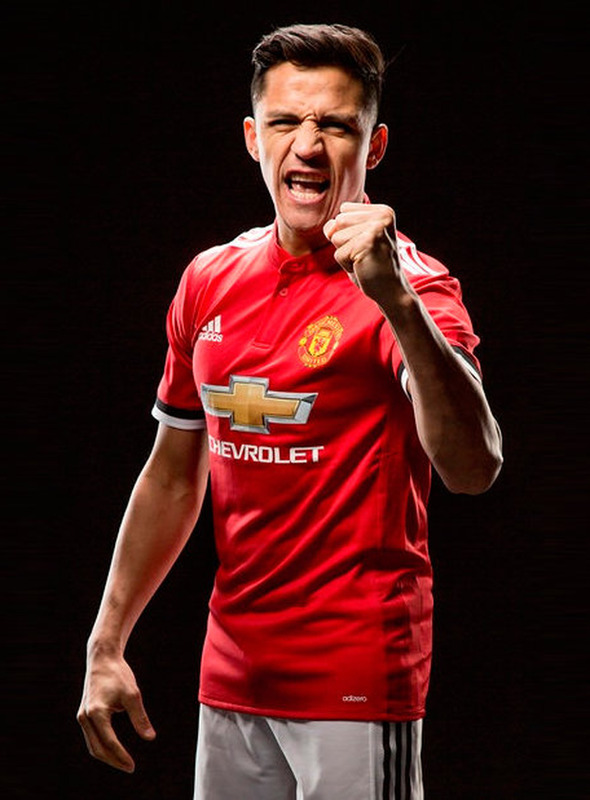 That's a huge statement of intent Manchester United have just made by signing Alexis Sanchez and a poke in the eye for every one of their rivals. Even the noisy neighbours across town must be miffed. This deal has exposed Arsenal's frailties and made all of United's other title rivals look powerless. Liverpool and Spurs weren't even in the race and City seem to have allowed pride to win over practicality by removing themselves from the bidding after their attempt to do a deal with the Gunners last summer failed. City will regret this decision but if Pep Guardiola is feeling unsettled by Jose Mourinho's capture of a player who I believe is good enough to lift United to a new level, imagine how the current Premier League champion Antonio Conte is feeling. The way Conte has been treated at Stamford Bridge is nothing short of disgraceful and there seems no end to it. Mourinho raided his squad for one of his best men in the summer when he signed Nemanja Matic and while he was pushing hard to get Sanchez, Conte was making enquiries about Andy Carroll and Peter Crouch. That tells me a great deal even if it is not at all easy to understand how Chelsea went from winning the title to where they are now. They have been almost wilfully self-destructive and by not supporting Conte properly, have shown that Chelsea have dropped considerably from their position as the club setting the financial pace in England when Abramovich first arrived, to also-rans. I gave Chelsea credit when they created their own market by buying and selling players who were never going to make it at Stamford Bridge but would turn a nice profit. It seemed like a good model to generate finance for the manager to spend and only made sense to me if that was the ultimate purpose but instead of helping Conte keep his important players and finding new and better options, they sold one of his best. Instead of fighting United for the right to sign Sanchez, the kind of thing a big club would do, they tried to get Carroll on loan. The Sanchez deal is a triumph for Ed Woodward because it kills two birds with one stone. Most importantly, he represents a huge boost to Mourinho's squad and is Champions League eligible. But by setting a new salary standard for English football, United have also answered Mourinho's charge that they weren't ready to go head-to-head financially with clubs like City and PSG for the best players in the world. It changes things for Mourinho. I was convinced that he was courting PSG and would leave Old Trafford this summer but this signing could be a game-changer. The club has struggled to assemble a squad with title credentials since Alex Ferguson stepped down but there is light at the end of the tunnel and Mourinho is not far away now from a group that could win the Premier League. And as a not insignificant consequence of this deal, he offloaded Henrikh Mkhitaryan in a straight swap leaving Wenger struggling to explain how he lost one of the best attacking players in the world and got a pale shadow as a replacement. All told, this is a fantastic piece of business for United no matter what angle I examine it from. Best of all, they have signed a really top-notch player who will have an immediate and positive impact on the team.